NGC 7129 is a reflection nebula located about 3,300 light-years away in the constellation Cepheus. A young open cluster is responsible for illuminating the surrounding nebula. 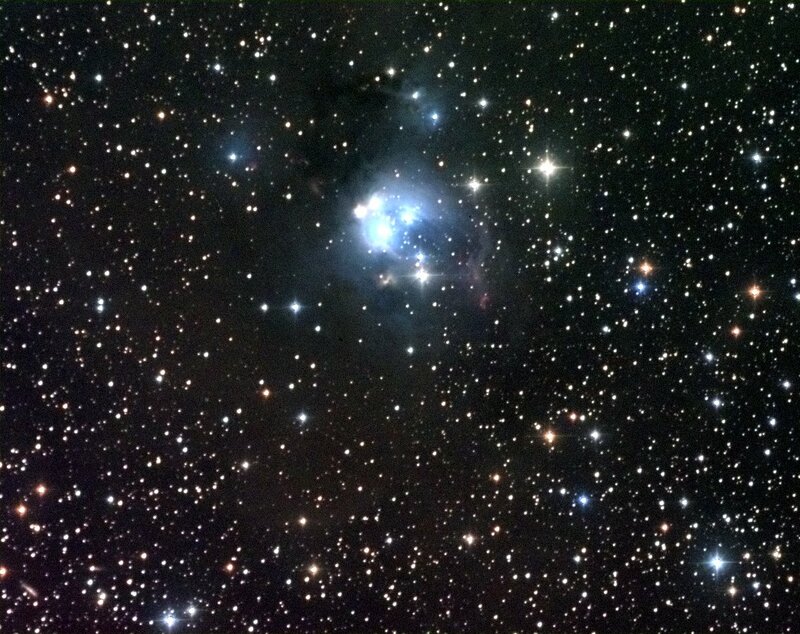 NGC 7133 is the small nebula North-East of NGC 7129.